StoptheDrugWar.org works for an end to prohibition (e.g. for some form of "legalization") and the "drug war" in its current form. We want to replace the illicit drug trade and criminalization with a combination of regulation, health and social programs addressing substances' risks and harms. We see enforcement as having a role in a better drug policy, but not the central role. We have this goal, and not solely for marijuana (though involved in marijuana policy) because we believe much of the harm commonly attributed to drugs is really the result of placing drugs in a criminal environment. We believe the global drug war has fueled violence, civil instability, and public health crises, and we see the arrest- and punishment-based policies still prevalent for drugs as unjust. We also work on partial but important reform efforts that are politically feasible in the shorter term. Some issues we're involved in include sentencing and policing reform, advocacy for harm reduction practices such as needle exchange and naloxone distribution, demilitarization of US-driven drug policy in Latin America and other regions (including the US border), availability of substances for medical use, and human rights as affected by drug policies. We are primarily US-based, but involved not only in US federal and state policies, but also foreign policy. We are part of the global community of reform-minded NGOs who advocate in international venues. We are a "niche" organization, in that at any given time we focus our limited budget and staffing on a few programs for which we are able to make a unique or disproportionate impact. One of our current emphases is international drug policy, including work at the United Nations, as well as a high-profile campaign to stop the brutal drug war killings happening in the Philippines. Our other main program is the Drug War Chronicle newsletter, in its 21st year as of this writing. The Chronicle is the only place to go for comprehensive reporting on all the important developments in the full range of drug war issues. Why stop the drug war? Why legalize drugs? There are many different parts of our answer to this complex issue. For marijuana, the substance's relative degree of safety make prohibition hard to justify, as most Americans have come to feel. Along with the benefits that go with governmental regulation, research evidence is emerging for a substitution effect of marijuana vs. opioids, leading to fewer overdoses and less addiction to heroin or prescription drugs in states with legal or medically available marijuana. For more dangerous or addictive drugs, the case is somewhat different. Legalization advocates often believe in the civil libertarian arguments, but most don't rely on them. We see prohibition as causing damaging street crime that fuels poverty and other problems, most seriously in the inner cities; and as fueling insurgencies and threatening criminal organizations in source or transit countries, especially where states and the rule of law are weak. We further see the criminalized status of some drugs as intensifying the harms that are associated with their use. The high prices of street drugs, a consequence of the risk involved in selling them and the lack of the efficiencies available to legal businesses drives some addicted persons to take dangerous and degrading measures to obtain the money needed to buy them, such as street crime or prostitution, or drives them into homelessness. The time involved in raising money and finding a safe place to take a drug, drains a person's time away, making it harder to assess one's life or take the time to improve it. Substances that have been illegally produced can be adulterated, leading to poisonings; or can vary in their purity levels, leading to avoidable overdoses; and are usually distributed without the warnings or safety instructions that regulations can provide for. The evidence from the heroin maintenance programs that operate in several European countries and Canada, both academic studies and personal stories, show that for certain drugs at least it is possible for the addicted to live relatively normal or even productive lives, if they are allowed to receive their substances legally and free or affordably. A paper by StoptheDrugWar.org's executive director David Borden published in the Cardozo Public Law, Policy & Ethics Journal, "If Hard Drugs Were Legalized, Would More People Use Them?," examines these and other issues in the legalization vs. prohibition debate, noting the points on which thoughtful observers of the drug issue agree and disagree. A presentation by Borden at the UN's High Level Meeting on End AIDS in June 2016 discusses the public health damage done by prohibitionist drug policies; another at the Commission on Narcotic Drugs January 2017 intersessional meeting highlights the obstacles prohibition puts in the way of fulfilling the UN Sustainable Development Goals. An open letter by Borden to now former DC Chief Judge Rufus G. King III in 2003, as part of a civil disobedience action by Borden and our former associate director David Guard (covered by the Washington Post), discusses the big picture prohibition and drug war issues prosaically. Stopping the drug war is an issue of justice reform, civil rights, civil liberties, human rights, public health, and freedom. Along with organizations working in all those areas, StoptheDrugWar.org aligns with groups like the Global Commission on Drug Policy, statements of principle like the Vienna Declaration, the campaigns that have fielded marijuana legalization initiatives in states throughout the US, and many others. StoptheDrugWar.org publishes the web site http://stopthedrugwar.org and the Drug War Chronicle newsletter, a widely-read publication that is a staple tool of organizations and advocates worldwide and a venue in which their work is highlighted to others. Click here for some examples of how people put our newsletter to use. Our current advocacy focus is international drug policy. We organized sign-on letters and statements during the lead-up to the April 2016 "UN General Assembly Special Session on the World Drug Problem" (UNGASS), and continue to promote a broad policy reform agenda for the UN and the US Congress and administration. We have continued with advocacy related to the Philippines, most recently organizing a global sign-on statement before the November 2017 ASEAN Summit that calls for international pressure to stop the killings and for a process of accountability. From 1998 through 2006, StoptheDrugWar.org organized a nationwide campaign to repeal a law that delays or denies college aid to students because of drug convictions. Much of our work on that campaign consisted of building a national coalition made up of hundreds of organizations opposed to the law. Also as part of the student aid/drug conviction campaign, StoptheDrugWar.org sponsored the John W. Perry Fund scholarship program to assist students affected by the law. Today, flowing out of that work, we support sign-on letters to Congress on a range of drug policy and criminal justice reform issues, developed by DC-based working groups we participate in, recruiting signatories for the letters through our network of organizational contacts. 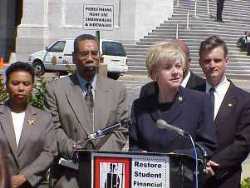 Ten members of Congress spoke at a 2002 press conference we organized calling for repeal of a law denying college aid to students because of drug convictions. Pictured: Rep. (now Sen.) Tammy Baldwin at podium, with Reps. Barbara Lee, Bobby Rush, Elijah Cummings and Rob Andrews. In late 1998, the organization launched the Higher Education Act Reform (HEA) Campaign, opposing a law passed that year taking financial aid away from students because of drug convictions. Ten members of Congress participated in a press conference organized in 2002 by DRCNet under the umbrella of the Coalition for Higher Education Reform, a record still in place for a drug policy reform press conference. The coalition achieved a partial reform to the law in 2006, when it was limited to offenses committed while a student is in school and receiving federal aid – one of only a few scale-backs to the federal drug war to date. A further reform that would have further limited the law's reach to sales convictions passed the House of Representatives, but the section of the education package that contained the language was removed when Democrats combined it with health care reform in 2010 as part of their strategy to pass both bills. In August 2006, we redesigned our web site and expanded our web site content model, incorporating a daily blog and other new content types, and shifting our newsletter itself from a weekly to a daily publishing model. Another site redesign was performed in 2010, and during that year StoptheDrugWar.org web site traffic first exceeded two million unique visitors. Today StoptheDrugWar.org content continues to be reprinted and widely made use of by organizations around the world. In 2014 we began work related to the April 2016 "UN General Assembly Special Session on the World Drug Problem" (UNGASS), organizing a coalition of hundreds of NGOs, as well as some businesses, calling for a human rights-based approach to global drug policy, and arguing the case for revision of the UN drug control treaties in a time when nations are moving toward legalization systems, as well as justifying legalization moves on the basis of human rights even in advance of treaty reform. Major NGOs such as Human Rights Watch and the American Civil Liberties Union were among the signatories of our sign-on statement for UNGASS and a sign-on letter addressed to President Obama. We also organized a teleconference for media featuring legislators from Canada and Mexico on prospects for marijuana legalization in those countries. In March 2017 we organized a side event at the UN in Vienna on extrajudicial killings in the Philippines drug war, which inadvertently catalyzed a major political incident in that country after Vice President Leni Robredo sent a speech by video for the event in which she criticized the killings and other aspects of President Duterte's drug policies. 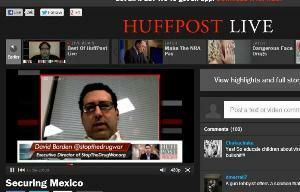 David Borden is founder and executive director of StoptheDrugWar.org. 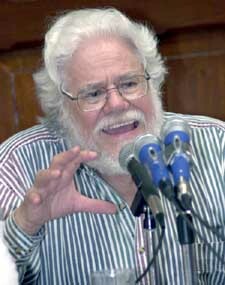 Borden played the leading role in pioneering use of the Internet for education and organizing in drug policy reform after founding DRCNet in late 1993. Borden oversaw the organization's work on the Higher Education Act Reform Campaign, an effort to repeal a federal law that denies students financial aid because of drug convictions, and has initiated programs including the John W. Perry Fund scholarship program, the Out from the Shadows international conference series, the organization's work on UN drug policy, and international advocacy to stop the drug war killings in the Philippines. In August 2003, Borden sent an open letter to the District of Columbia's chief judge, Rufus G. King, explaining his decision to refuse to report for jury service as a protest of the drug war, an action which was covered by the Washington Post. Borden earned an A.B. with honors in Astrophysical Sciences from Princeton University in 1988, and completed an M.M. in Jazz Composition from New England Conservatory in 1990. He is a native of Englewood, New Jersey, one of the first communities in the state to achieve racial integration in its school system. Borden is also a member of the Boards of Directors of Common Sense for Drug Policy and the Flex Your Rights Foundation, and of the Students for Sensible Drug Policy (SSDP) Council of Advisors; and he is the namesake of the annual "Dave Borden Friend of SSDP Award." 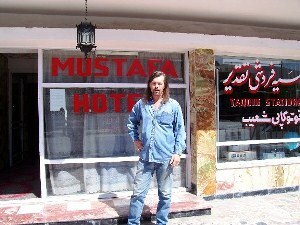 Phillip S. Smith has served as writer and editor of the Drug War Chronicle newsletter since May 2000. He has reported from the opium fields of Afghanistan and the coca fields of Bolivia and Peru, as well as the US-Mexico border and the mean streets of North American cities from Vancouver to Washington, DC. In addition to the Drug War Chronicle, he has written on drug policy issues for High Times, Cannabis Culture, The Fix and other outlets. 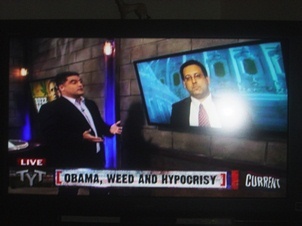 He also currently serves as drug policy editor for Alternet. He is a graduate of the University of South Dakota (BA Political Science, 1979) and the University of Texas at Austin (MA Latin American Studies, 1989), and served as writer and Associate Editor at the magazine Covert Action Quarterly from 1993-1996. Phil has done freelance reporting on Central American and Mexico since the 1980s, and has had articles published in In These Times, the Guardian (now defunct), New Politics and many other publications. He is also a long time drug policy activist, having helped to found one of the first NORML chapters in the state of South Dakota. He has been involved in local drug reform efforts in Austin, TX and Washington, DC, including the DC Metro chapter of NORML, and is currently involved in reform efforts in Northern California, where he currently resides. Joey Tranchina, MA, is a photographer, writer, poet & teacher, who served as Executive Director of AIDS Prevention ACTION Network (APAN), a syringe exchange outreach project in Silicon Valley, CA, from 1989-2011, where he remains as Board President. APAN is currently developing "Project Mali," in West Africa, in collaboration with Stichting Issa Gindo, a Dutch Foundation. Tranchina lives in Séte, France, where he writes & makes photographs, while trying to see Africa from his balcony. 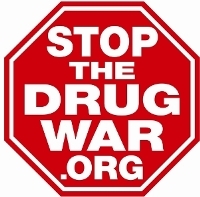 Like many advocacy organizations, StoptheDrugWar.org consists of two related nonprofit corporations. These organizations are DRCNet Foundation, a 501(c)(3) a primarily educational nonprofit (donations to which are tax-deductible under the Internal Revenue Code); and Drug Reform Coordination Network, a 501(c)(4) nonprofit devoted primarily to lobbying (donations to which are typically not deductible). The two organizations work together, sharing staff and other organizational resources, but are legally and financially separate. Shared expenses are allocated between the two organizations based on accepted cost-sharing rules approved by the IRS. DRCNet Foundation steers clear of any work related to candidates for public office, due to restrictions on 501(c)(3) organizations in the Internal Revenue Code. In order to preserve StoptheDrugWar.org's ability to report on the the drug policy positions of candidates, in the face of restrictive IRS rulings regarding shared web sites in recent years, our web site and email list costs are financed entirely through our 501(c)(4) corporation, which owns the StoptheDrugWar.org web site and internet domain. StoptheDrugWar.org relies on donations from individuals for a large part of the funding that makes our work possible. As noted above, donations to our 501(c)(3) nonprofit, DRCNet Foundation, are tax-deductible and support our educational work. Donations to our 501(c)(4) nonprofit, Drug Reform Coordination Network, are typically not deductible, and support our lobbying work. Donations to either organization can be made online at http://stopthedrugwar.org/donate using credit card or PayPal. Donations by check or money order can be mailed to us at P.O. Box 9853, Washington, DC 20016. We also accept donations by stock; the information to give your brokerage is Ameritrade, (800) 669-3900), DTC #0188, and account number 781926492 for tax-deductible gifts to DRCNet Foundation or 864663500 for non-deductible gifts to Drug Reform Coordination Network. Please contact us if you are donating in this way.